"The stone structure of the cathedral has been saved and we have ensured that all the stained glass windows that were saved," a fire spokesman said. It was only when Miryam Chudzinski reached the roof of Notre Dame Cathedral that she realized the extent of the inferno already raging among its rafters. One of 400 firefighters who fought the blaze over nine hours, Chudzinski was among those selected to make their way through the medieval building's labyrinthine structure to try to tackle the flames head-on. Laden with heavy gear, she and her colleagues climbed the narrow staircases and squeezed through slender passageways, a route that demanded they were "in peak physical condition and in constant contact with your team," she said at a press conference Wednesday. They eventually made it out onto a balcony just three feet wide, the first time they were able to see the true challenge ahead, she recounted. "The roof was burning," she told reporters. "It was only when we got to the top we saw how bad it was." Chudzinski recounted her efforts as her fire department gave an update on the cathedral's damage. Although the wooden roof is gone, the vaulted stone ceiling below and the iconic rose windows have been saved, the latter at least surviving in "good shape," Lt. Col. Gabriel Plus told the briefing. "It is the biggest fire that I've ever had to work on," he said. "The second we arrived on site we put everything in motion to do our job." Now the real risk is that the building might collapse. There are 60 fire personnel are currently onsite and monitoring for any "hot spots" that could weaken the ravaged structure, the spokesman added. 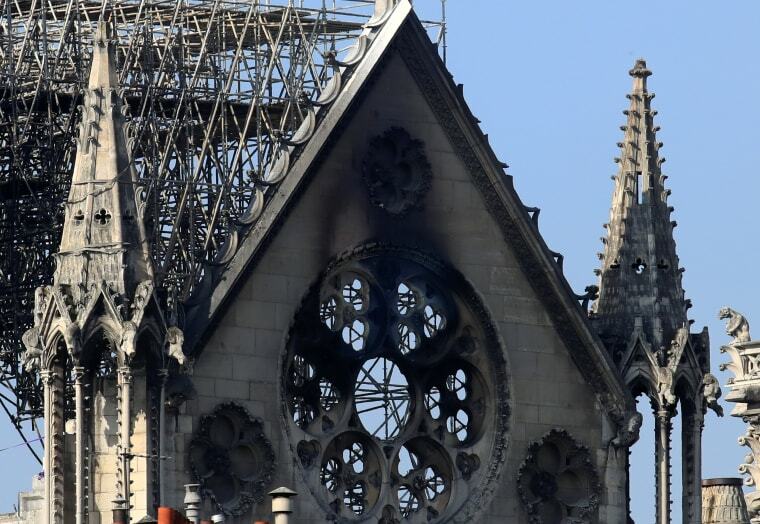 Crews must remove the warped scaffolding that had been erected for repair works before the fire, and also a number of loose stones on the north facade that could damage the buttresses if they fall off, the spokesman said. The main concern is over the bell towers, which are at risk of toppling over. "If you lose the war of the belfry, you lose the entire cathedral," said Philippe Demay, deputy chief of the Paris fire brigade. "It's clear that if we had not been so fast, the two towers would have fallen, that's for sure." The firefighting effort has been cast by officials as a success, with French President Emmanuel Macron pledging the rebuild will be completed in just five years, far sooner than forecast by experts. But Chudzinski said that when she first saw it, she was not always so confident the blaze could be tamed. "We were just two people with a fire hose," she said. "When you're at the top you just try and fight fire." She was further restrained because she was unable to blast the fire with the full power usually at her disposal, least the high-pressure jet cause further damage. Watching from below, Demay knew what a unique, grave danger he was asking his firefighters to undertake by sending them into such an intricate building. 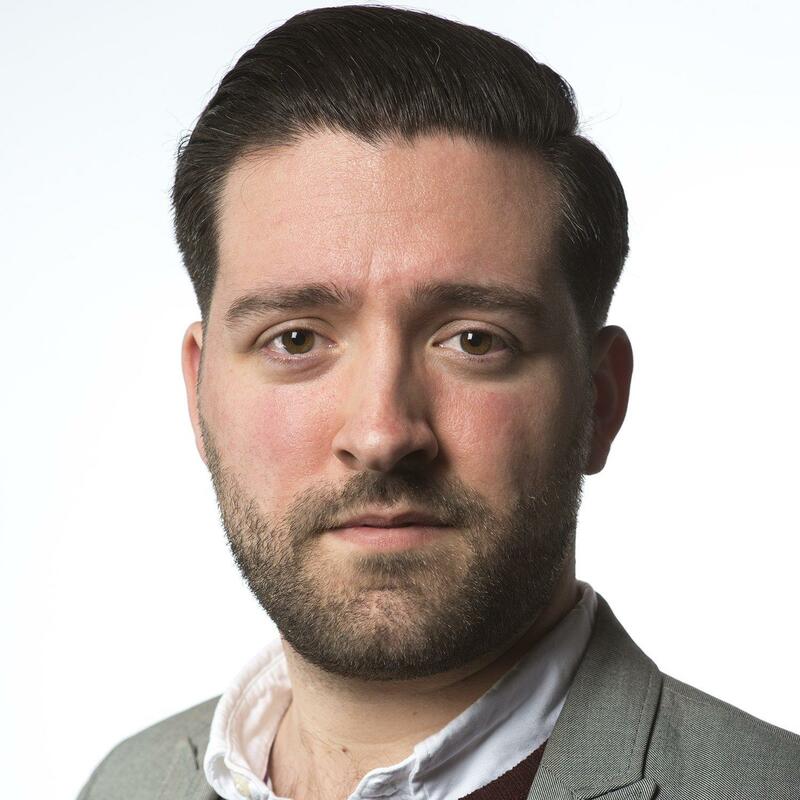 "You always fear for your staff but you still send them in there," he said. "The second we turned up on site we realized how big the fire was." As he watched from below, he knew the dangers Chudzinski and others would be facing. "You don't know what's going to happen or when the ceiling is going to collapse," he said. "Once you get up there it's a disaster scene you're faced with — the roof is catching fire all over the place." As well as those climbing to the roof, other firefighters were specifically dispatched to save some of the historical relics housed within the building. "In terms of all the different works, as much as has been saved" as possible, Plus said. When the building's spire fell, the fire department made the decision to pull out their firefighters out and send in a robot named Colossus to tackle the flames. Now, the department is working alongside experts to determine the cause of the fire and how it spread so quickly through the building.